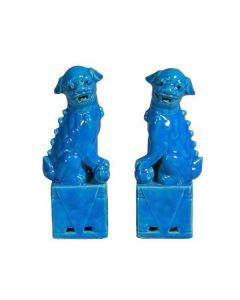 Traditional Chinese Foo Dogs make a wonderful accessory for libraries, living rooms, or foyers. 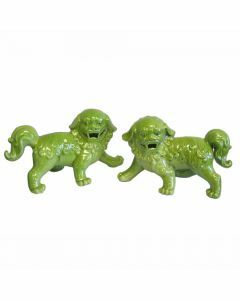 This lovely pair features a white finish and measure 15”H. Click on image for greater detail.